Mobile search has been transformed from a simple search of the Internet’s content to an index that includes downloadable mobile applications into the results. The evolution is called mobile app indexing. Although Google introduced app indexing in 2013, businesses are only now realizing the advantages it produces. The benefits of app indexing do not only pertain to businesses, but to the entire marketplace, especially mobile users. As the awareness and understanding of app indexing increases, the installation of apps by businesses and users will skyrocket. In prior years, the results of a Google search (via a mobile device) would primarily be a list of recommended website links. Due to the introduction of app indexing, the results will now include suggested applications pertaining to the search terms. Just as users can click on and connect to a web page link, users can also launch the app directly from the results page if that app has been installed on the device prior to the search. However, if the app is not downloaded onto the device, there will be an option to install the app to receive the desired content. This addition opens up a whole new and innovative way of mobile searching. If your business does not have an app, it may be smart to adopt one, if you have a valid need. If your business does have an app, make indexing a priority. Since the majority of businesses have not yet adopted app indexing, this act will immediately set you apart from the competition. 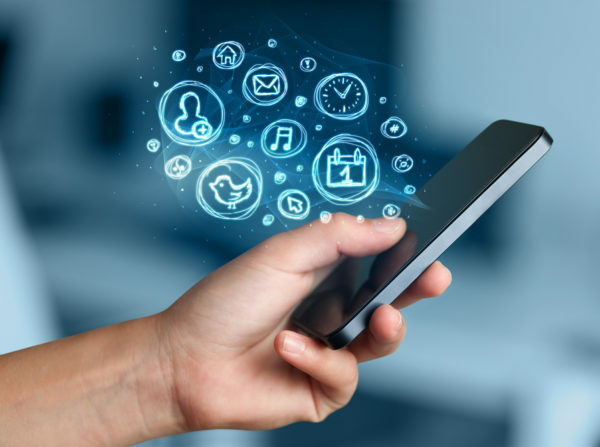 Now is the best time to take advantage of the numerous opportunities and benefits mobile app indexing will generate for your business. Advantages of app indexing include an increase in customer loyalty, app installations, and user traffic. Additionally, your business will become more visible to the eye of the user through the presence of the app on the results page. For mobile users, app indexing has created an improved and advanced search experience. The indexing of both websites and apps broadens search results. The expansion of search potential will result in an increase in the amount of useful information that can be utilized by the mobile user. Not only a development in marketing for businesses, app indexing is also a way for mobile users to access information more effectively and efficiently. To help you define your mobile app indexing experience, contact Colure’s project management team. The traditional purchase decision process has been transformed into the new buying decision journey. What used to be a narrow funnel of steps taken by the customer to reach an investment decision, has evolved into a circular path that takes into account diverse consumer experiences. The purchase decision journey has been compressed, but this compression does not mean that the trip is now simpler. In fact, it means just the opposite due to today’s technology that has evolved within the purchasing cycle. It is a series of consumer experiences, without a defined beginning or endpoint. The purchase decision journey described by McKinsey begins with consideration, followed by evaluation, then enters the continuous cycle, also known as the loyalty loop. The components of the circuit include the purchase, experience, advocacy, and the bond, which will lead back to the acquisition. The cycle will repeat in a never ending circle, until the consumer leaves. A marketer’s goal is to lock the customer into the loyalty loop. To do this, marketers have to forget about traditional strategies and now must proactively personalize the consumer’s next step in the purchase decision journey. The mission has changed for consumers and companies. For consumers, McKinsey proposes that the systematic narrowing of the initial consideration set no longer occurs. This is a result of businesses taking advantage of the purchase decision journey. 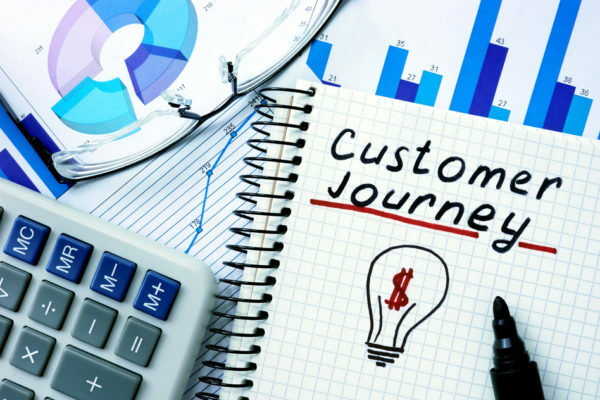 Many companies who understand the buying decision journey have eliminated the steps of consideration and evaluation that consumers would typically undergo. Marketers can optimize competitive advantage by using automation, proactive personalization, and contextual interaction throughout the journey to create and maintain loyal customers. Advertising and promotion alone cannot suffice with the recent purchase decision journey in existence. To reach success, companies must come to this realization and work toward innovation. As the presence and utilization of marketing, media expands, companies’ approaches must change to reach the consumer before the journey begins. The efforts of marketers do not stop there; it is necessary for them to continue to engage with the customer throughout the cycle to create a personalized experience. Lastly, communication has shifted into a conversation. Originally, marketers were the sole communicators and consumers were the receivers. A relationship between marketer and consumer has now formed because of the presence of two-way conversation that replaced one-way communication. The path of the consumer purchase decision is no longer a process that comes to an end. Rather, it is an endless journey. Where the buyer steps on or steps off is unknown. What is known is that the marketer can no longer take the consumer for granted. Chicago Cubs win the 2016 World Series! A 108-year drought was washed away following a 17-minute rain delay Wednesday night when the Chicago Cubs won the 2016 World Series. For generations, Cubs fans have fought bitterly over who was the best. In the end, their love of the game and the passion it drives was rewarded with a storybook ending. It was a fairytale story – 108 years in the making. Seven games in the series. Two teams were staunchly fighting to end their post-season loss records. The tension was incredible! Game Seven matched at 6-6 is forced into extra innings. If that wasn’t enough, the rain stretched the season out just a few minutes longer. 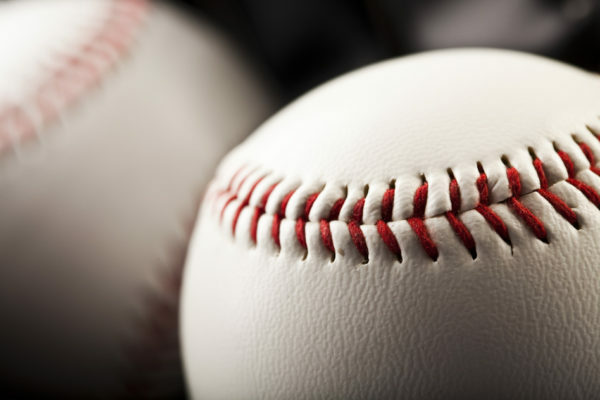 Whether you support either the Cleveland Indians or the Chicago Cubs, the folks who saw the game will admit that they watched sports history in the making. Lovers of baseball will talk about this series for another 108 years. It’s a safe guess that almost every baseball fan will remember exactly where they were when they finally saw the Chicago Cubs win the World Series. New York will always give Chi-town a friendly-spirited run for their money, but for now, the Chicago Cubs have earned our Kudos and support! Congratulations to the Cubbies. Great job!